Primary school children from Sefton have taken part in a special community art project to help brighten up their local train station. The creative youngsters, from Melling Primary School, produced a vision for a mosaic which was unveiled at Kirkby station last week (Tuesday 17 July), in front of station staff and commuters. The design of the mosaic was inspired by the pupils’ experiences of living in Melling and features farmland, wellingtons and flowers, as well as a dolphin representing the school’s emblem. It also includes the line ‘be the best you can be’, the school’s motto and something which the children wanted to be an integral part of the final work. From start to finish the design and production of the mosaic became a family affair. The parents and grandparents of the children helped put the design into the finished product after taking part in a mosaic making course with Sefton Community Learning Service. Speaking about the project, Head Teacher Ms Ainsworth-Brown said “The school works very closely with the community and is always looking at ways to build relationships whilst teaching the children to respect their surroundings. “The idea to create the mosaic came about some time ago however the cost of producing it was substantial, especially if we commissioned a professional artist to do it. 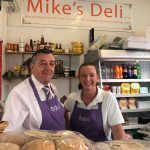 “We had to think of another way to deliver the ambition of the children which is why parents and grandparents set about educating themselves via Sefton Community Learning Service. 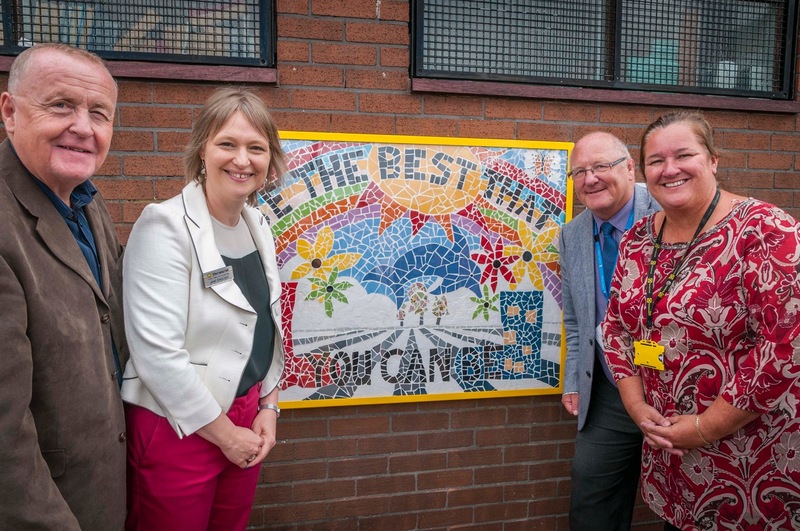 Jane English, Human Resource Director, at Merseyrail, said: “The mosaic is a beautiful piece of artwork and an excellent example of community spirit. It has added a real splash of colour to the station as well as create a more attractive and cared-for station environment at Kirkby. “As well as art, this project was also about education which is a key part of our Community Involvement Strategy at Merseyrail. Throughout the process, the children were taught about important issues related to rail safety as well as the history of the railway in their area which is rural in its make-up. Cllr Marion Atkinson, Sefton Council’s Labour Cabinet Member for Regeneration and Skills, said: “What a fantastic way to encourage people to think about where they come from and incite pride of place. Cllr Gordon Friel, Lead Member for Rail on the Transport Committee of the Liverpool City Region Combined Authority, said: “Across the Liverpool city region rail network, there are a number of fantastic community contributions at our stations and this mosaic is a great addition to them.